The newspaper's "Estacada Hi-Lites" section outlined the activities of those in the community. "Mr. and Mrs. Denzil and their sons Ricky and Bobby moved into their new home at 380 N.E. 19th St. in Gresham," The News reported. "Mr. and Mrs. Butch White and sons were dinner guests at the George Gilland home." 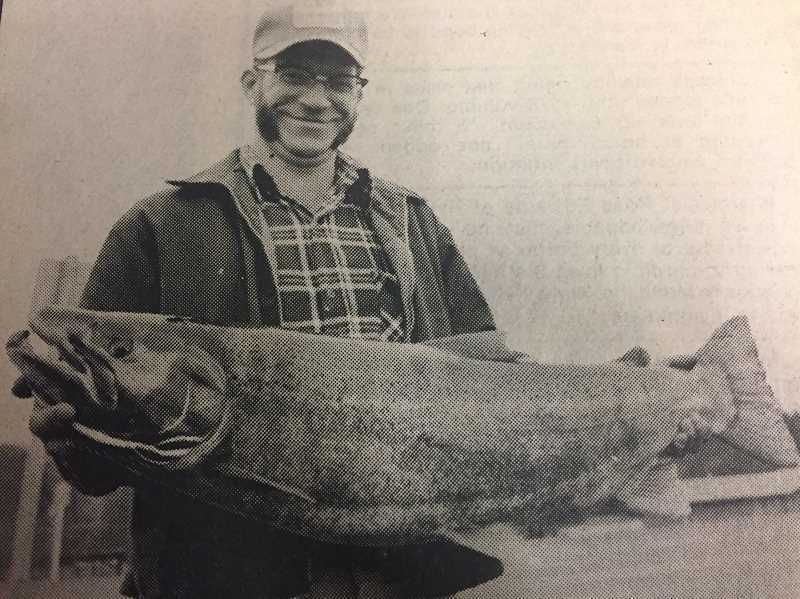 Colton resident John Foster caught a 20 pound steelhead while fishing at the River Mill Dam. Foster then brought the fish into The News office because "he didn't think his brothers would believe his fish story without documentation." Oregon Gov. Neil Goldschmidt would soon speak at the Estacada Community Center. "A local group headed by Estacada Mayor Tom Nelson has met twice to consider questions vital to the community that should be posed to the governor by political, civic, and cultural representatives," The News reported. Groups participating in the meeting, which was open to the public, included the Estacada Chamber of Commerce, the Estacada Economic Opportunity Alliance, the Estacada School District and local students. Estacada resident Joan Baker was named one of the 100 finalists in the annual Pillsbury Bake-off Contest. The competition would be held in February at the Renaissance Orlando Resort in Florida. "Each of the 100 finalist wins $100 expense money, a KitchenAid Hand Mixer and an expense-paid trip to the competition site," The News reported. "The finalists will compete for prizes totalling $1,082,000." People around town shared their new year's resolutions. April Rutherford, a junior at Colton High School, planned to "break the coffee addition and eat less meat." Margie Arnett, a science teacher at Estacada Junior High School, strived "to try really hard to find the positive in most situations." As the new year began, Estacada community members were anticipating many different things. Several were looking forward to seeing how the future Dollar General store would affect the city's economy. "The new Dollar General store will be a nice addition to our downtown," Mayor Sean Drinkwine said. "It's great that people will have more opportunities to spend money downtown." Arts Commissioner Jane Reid was eager to see her neighbors support one another during the new year. "My hope is that we all keep talking, are kind to each other, take good care of our young people and recognize the beauty all around us," she said.